1. To make a compensation to the TTL output value at large aperture setting. 2. To add Fn-10 in custom function settings. When setting as 01, the AF-assist function can be used on Interchangeable Lens Digital Camera (some cameras e.g. A9, A7, etc.). 3. To solve the problem that the ISO will change to 819200 from 100 when A7RM2 camera is using the high-speed continuous shooting in M mode. 4. To add Fn-11 in custom function settings, so that the customer can set RFID. 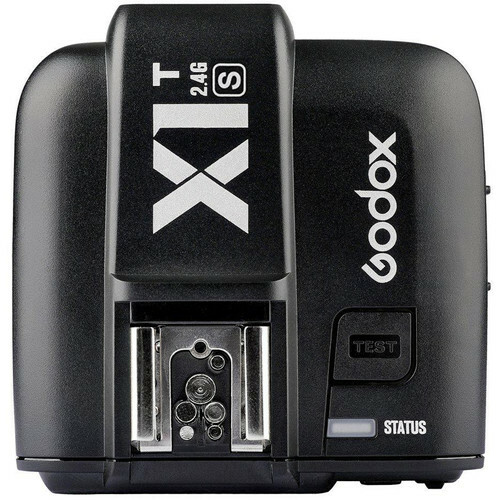 This entry was posted in Accessories and tagged Godox, Godox X1R-S, Godox X1T-S, X1R-S, X1T-S. Bookmark the permalink. Trackbacks are closed, but you can post a comment.